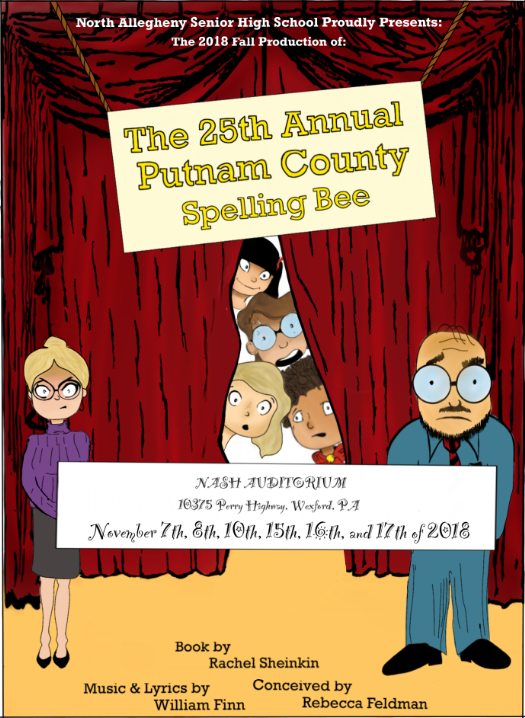 The 25th Annual Putnam County Spelling Bee has charmed audiences across the country with its effortless wit and humor. An eclectic group of six mid-pubescents vie for the spelling championship of a lifetime. While candidly disclosing hilarious and touching stories from their home lives, the tweens spell their way through a series of (potentially made-up) words, hoping never to hear the soul-crushing, pout-inducing, life un-affirming "ding" of the bell that signals a spelling mistake. Six spellers enter; one speller leaves! At least the losers get a juice box. This riotous ride comes complete with audience participation. With comedy, music, and social commentary, this fun and dynamic production will entertain the entire family. Please join us for a wonderful night of entertaining theater.